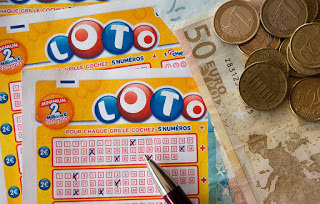 The calculation is simply each potential payout times the odds of having a ticket with the right combination of numbers. For example, the odds of having a single matching number and the Powerball number correct on a single ticket is 1 in 92. One divided by 92 equals approximately 1.09%. Multiplying 1.09% by the fixed $4.00 payout results in an expected value of $0.04. Put another way, if you adjust the value of the prize by the probability of actually winning the prize, you end up with an expected value of $0.04. Running this math for all of the fixed payouts gives us cumulative expected values of $0.25 for a Mega Millions ticket and $0.32 for a Powerball ticket. The big prize in both games is, of course, the jackpots. Both the sheer size and the variable nature of the jackpot give it great influence on the expected value of a lottery ticket. Not surprisingly, the larger the jackpot, the higher the expected value. Consider the March 30, 2018, Mega Millions drawing, which awarded one lucky person a $521 million prize. The jackpot single-handedly added $1.72 to the expected value of each ticket purchased for the drawing. The math was $521 million times the 0.0000003% odds of matching all five primary numbers plus the sixth Mega Ball number.